A Notification bar is a great area that is placed mostly at the top of a website and generally or may be highlighted with a bright or attracting background so as to attract the visitors. Notification bars usually contains some text and images or both or may contain links to other important web pages like discount and special offers, latest post, etc. to notify its visitors. As it always stays permanently at the top of your site, even if your visitors scroll your page, it will stay permanently at the top of your site and thus does not come in the way of your visitors. Notification can reduce your high bounce rate by showing notification about your latest post. Increase engagement for your site by displaying your important features your latest blog post, etc. Your site visitors need not have to dismiss your notification bar to read your contents. Your organic traffic will get boosted by Google and other search engines. Increase lead generation by showing notification of your offers and discounts. Increase social media interactions, if you add a link to your social media pages like Facebook, Twitter, etc. So, here I have 9 best notification bars for your Blogger that you can embed right away with just 4 simple steps. How to add a notification bar? Step 1. Login to your Blogger and select Template/Theme and click on Edit HTML. Step 2. 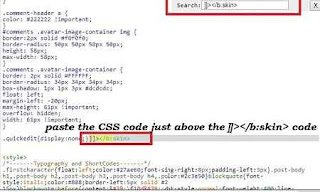 Search ]]></b:skin> code and paste the CSS code just above the ]]></b:skin> code. Step 3. 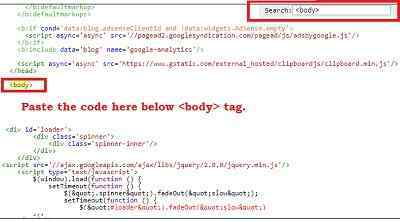 Now, find the <body> tag and paste the HTML just below the <body> tag. Step. 4. Add the JQuery/JS code just above the </body> tag. Note: Replace all the text/URL (your link) with your own text or URL and click on Save in order to save your theme/template. 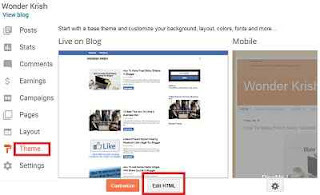 All of the above notification bars are great designs for creating and managing your Blogger blog and once you embed in your Blogger you can analyze how successful it is at increasing your traffic, engagement, conversations and lead generation. So, Enjoy! Or if you have found any problem with installation, you may leave a comment below and I will be very happy to help you.